Vote for your favorite Hero Dog! The Hero Dog Awards celebrate the powerful, age-old bond between dogs and people – and give recognition to courageous acts of heroism performed by our four-legged best friends. The American Humane Association Hero Dog Awards® is an annual, nationwide competition that searches out and recognizes America’s Hero Dogs – often ordinary dogs who do extraordinary things, whether it’s saving lives on the battlefield, lending sight or hearing to a human companion, or simply providing the tail-wagging welcome a pet owner relishes at the end of a hard day. Dogs compete in eight different categories for the Hero Dog Awards: Law Enforcement Dogs, Arson Dogs, Service Dogs, Therapy Dogs, Military Dogs, Search and Rescue Dogs, Guide/Hearing Dogs, and Emerging Hero Dogs (the category for “ordinary” dogs who do extraordinary things). From now until April 27th at 12pm Pacific Time you can vote for a dog in each category, each day! 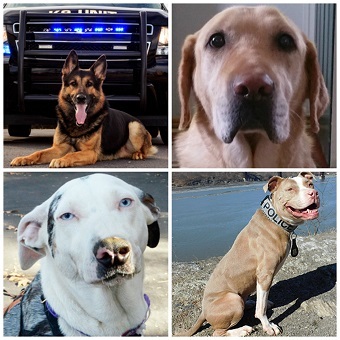 To read the amazing stories on these 4-legged heroes and to cast your vote, click here!